Westview Press, New York, 2000. Things have changed—really changed. Paleoanthropology is not what it used to be. Those familiar tree-like, linear progressions of quadrupedal apes marching upward and onward to become modern humans are out. Bushes are now in—bushes with twigs going in so many different directions that although modern humans are allegedly at the tip of one of those branches, no evolutionist knows for sure on which twig we belong. Further, the twigs on that human bush are far more numerous than we have realized. Perhaps twenty or more twigs (species) have been on that bush. So these authors tell us. The person most active in popularizing this new view is Ian Tattersall, Chairman and Curator of the Department of Anthropology at the American Museum of Natural History in New York. He is a leading authority on Neandertals and has written at least four other popular or semi-popular works on human evolution and human fossils since 1995. A strong advocate of the ‘Out of Africa’ model of human evolution, Tattersall claims to have personally examined almost all of the human fossils in collections in Europe, Asia, Africa and the United States that document the evolutionary history of humankind. Up to now, the only other person to make such a claim is Milford Wolpoff of the University of Michigan, who happens to be a fierce opponent of the ‘Out of Africa’ concept. 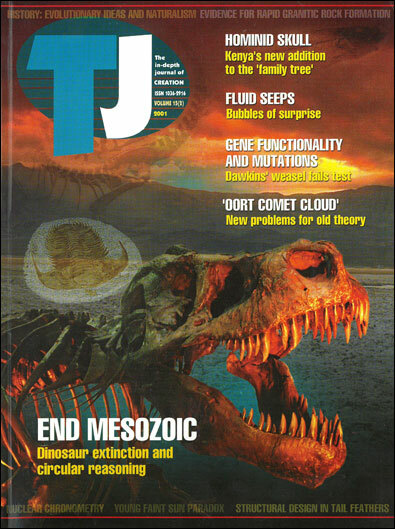 Tattersall is also involved in a vast long-term project to redescribe and reanalyze the entire human fossil collection. This much-needed project has not been repeated since it was done by the Natural History Museum, London, in the 1970s. The co-author of Extinct Humans is Jeffrey H. Schwartz, an osteologist and paleontologist at the University of Pittsburgh. Schwartz is largely responsible for the exceptionally beautiful fossil photographs in this out-sized and handsomely done volume. Without denigrating Schwartz in any way, there is no question that Tattersall is the major player of the two, having greater stature in the paleoanthropological community, and having the greater knowledge of the human fossil collection. The author of three other books, Schwartz has concentrated on the study of fossil bones as they impact species distinctions as well as the variation of skeletal features within species. This book reveals Tattersall and Schwartz to be men in revolt. They are revolting against the current scheme of human evolution—especially the commonly accepted linear or straight line arrangement of fossil ancestors leading up to modern humans. The philosophical enemies that have, in their view, wrought such error in paleontology are the ‘Great Chain of Being’ concept stemming originally from the ancient Greeks, and the ‘Grand Evolutionary Synthesis’ of the 1940s. This ‘Grand Evolutionary Synthesis’ was formulated by the mathematical geneticists J.B.S. Haldane, Ronald Fisher and Sewall Wright, and later joined by geneticist Theodosius Dobzhansky, ornithologist Ernst Mayr and paleontologist George Gaylord Simpson. Up until that time, paleoanthropology did not have a theoretical framework. Dobzhansky and Mayr supplied one—a linear one, which, Tattersall and Schwartz state, is still the majority view, but which they maintain is incorrect. Thus, Dobzhansky and Mayr are the main villains in the majority interpretation of the human fossil record and are repeatedly criticized throughout the book. Extinct Humans describes a surprisingly small number of human fossils, considering the total human fossil population. It is not so much a book describing human fossils as it is a book elucidating the evolutionary process, as understood by Tattersall and Schwartz, and how these fossils are to be interpreted in the light of that process. Two keys in the process of human evolution (and all evolution), they say, are punctuated equilibria and extinction. Punctuated equilibria, the authors claim, has created many hominid (human and australopithecine) species—far more than anyone realizes. Natural selection plays only a minor role in the speciation process—a distinctly within-species role. The major factor has been a class of genes known as ‘regulatory genes’, genes that regulate developmental patterns in each individual. Minor changes in these genes can have major consequences in the individuals and the populations bearing them. They imply that these regulatory genes are involved in speciation, although the authors are honest enough to state that the real cause of speciation is unknown. The human fossil record is the story of nature’s tinkering, involving ‘repeated evolutionary experimentation, diversification, and extinction’ (p. 9). The second key to understanding the fossil record is extinction. It is why only we, Homo sapiens, are left. Extinction is a ‘perfectly normal biological process’. Elimination of old species is as ‘normal and necessary as the origination of new ones’ (p. 174). We did not get here just by gradually evolving from former and older species by the slow accumulation of mutational changes. We eliminated our competition by either direct or indirect annihilation. Genocide, active or passive, is not a pretty picture, but the authors claim it is a true picture. It is ‘survival of the fittest’ in its starkest and purest sense. It is also the ‘Out of Africa—2’ picture. ‘Out of Africa—1’ took place about a million years before. Tattersall and Schwartz state that the study of the human fossil record reveals that the pattern of human evolution has resembled that of most other groups, involving a vast diversity of species, present and past. But the poverty of species in the current interpretation of human evolution does not reflect that fact. This new vision of the human fossils held by Tattersall and Schwartz (and a few others) is quite different from that held by almost every evolutionist just a few years ago. Our own species, Homo sapiens, probably evolved in Africa, but nobody really knows the details of where, when, or from whom (p. 219). The Neandertals are our ‘cousins’, but not our ancestors. They became extinct without issue. The group informally known as ‘archaic Homo sapiens’ is now known formally as Homo heidelbergensis, named after the famous Heidelberg jaw, except that this group probably contains several species (p. 165). Add to that the Homo antecessor fossils found recently in the Gran Dolina Cave in northern Spain, as well as the fossils from the Sima de los Huesos site nearby in Spain that may be still another species (p. 202). The taxon Homo erectus now refers only to certain fossils found in Java and China—but not all of them. Other species may be involved (pp. 144, 154, 157). Homo ergaster is the term now used for the African Homo erectus fossils—but not all of them (p. 145). Further, one of the African fossils, KNM-ER 3733, is considered a variant of Asian Homo erectus (pp. 130, 141). The Homo habilis taxon was bad news from the start. Even Tattersall and Schwartz can’t sort it out. The larger fossils are now called Homo rudolfensis. The smaller fossils reflect ‘numerous speciations’ (pp. 116, 123), and are probably australopithecines. We have here what is nothing short of ‘species absurdity’. Paleontologists have always been divided between ‘lumpers’ and ‘splitters’. Tattersall and Schwartz give a whole new meaning to the term ‘splitter’. All of this splitting is to make the human fossil record conform to the fossil record of other groups. However, since humans today represent a very unusual situation—only one species worldwide, it does not logically follow that humans in the past must conform to other groups. The australopithecine fossil assemblage is equally messy. Tattersall and Schwartz suggest that the taxons Australopithecus africanus (including the Taung skull), Australopithecus afarensis (Lucy) and Australopithecus anamensis (fossils recently found by Richard Leakey’s wife, Meave) may each consist of several species. There are at least six other australopithecine species—some of them involving scanty and recently discovered material. Last are the fossils known collectively as Ardipithecus ramidus, from Ethiopia, considered by some to be the oldest known potential human ancestor. However, the authors expect that many more australopithecine species will be discovered. They state that the australopithecine material has been poorly interpreted because of preconceived notions, and that australopithecine bipedality may have been quite different from and unrelated to human bipedality. They even hint at the possibility that no australopithecine species was ancestral to the genus Homo. Since I am the author of one of the very few books on the human fossils in the creationist arsenal, I trust I will be forgiven for contrasting the Tattersall and Schwartz book with my own book, Bones of Contention: A Creationist Assessment of Human Fossils (Grand Rapids: Baker Book House, 1992). It is interesting that so many things I said about the human fossil record have been validated by Tattersall and Schwartz. Further, this book is the only worthy, though unconvincing, evolutionist ‘response’ to my book of which I am aware. In fact, the approach Tattersall and Schwartz have taken may be the only possible evolutionist response to my book. To dent my evidence, one would have to reshuffle the human fossils in such a way that the dates of individual fossils was not so critical, so that the great overlapping ‘time’ ranges of the human fossil categories was not so damning to evolution. This is, sort of, what Tattersall and Schwartz have done. I am not suggesting that I have had an influence on evolutionist paleoanthropologists. That would be a rather arrogant claim, and I have absolutely no evidence of that being the case. I am not even sure that evolutionists—if they were aware of my book—would bother making a response. Still, whether intended or not, this book is something of a response to my work. I am not implying that paleoanthropologists were unaware of what I stated almost ten years ago was the true condition of the human fossil record. Of course they were aware of it. What has happened is that paleoanthropologists did not seem to have an evolutionary model to accommodate those facts. Now Tattersall and Schwartz are suggesting one. Hence, they can speak and write more freely about the true nature of the human fossil record. In Bones of Contention I showed that the facts of the human fossil record and the evolutionist dates of specific human fossils actually falsified the concept of human evolution. The evolutionist fossil categories of Neandertal, archaic Homo sapiens, and Homo erectus are artificial categories that should be included in Homo sapiens. My model involved a large degree of genetic variation among ancient humans. This is what we would expect given the extreme climate conditions during the post-Flood Ice Age and the genetic isolation of the various human groups following the dispersion at Babel. Tattersall and Schwartz themselves state that the Ice Ages were the most propitious times for genetic diversification in all of the alleged four billion years of life on Earth (p. 119). The ‘species mania’ scenario of Tattersall and Schwartz fails. It fails for the same reason that any species test in the fossil record fails. They face an unsolvable problem. It is impossible to accurately determine species distinctions in fossils. The scientific word, ‘species’, is a difficult concept to define even in the living world. It attempts to deal with reproductive relationships today. The Biblical word, ‘kind’, deals with reproductive relationships at the time of Creation. These two words are not synonyms, and deal with somewhat different concepts. However, both deal with reproductivity. The human family is one unified species worldwide because we are interfertile. Unfortunately, fossils—even human fossils—do not reproduce. Hence, there is no valid test for species when dealing with fossils. In attempting to deal with the unsolvable species problem, paleontologists have invoked changes in morphology as a substitute for reproductive ability. However, there is no criterion for determining how much morphological change is equivalent to a species distinction. Tattersall and Schwartz themselves admit that evolutionists do not have an adequate morphological definition for either the genus Homo (p. 114) or for ‘early Homo’ (p. 108). If evolutionists do not have an adequate morphological definition for the genus Homo, how is it possible to determine fossil species distinctions within the genus Homo? It isn’t. The process is entirely subjective, subject to the whims of the individual paleoanthropologist. The morphological items that the authors suggest to define modern humans (pp. 202–204) and Neandertals (p. 197) are trivial and absurd. They offer no rigorous evidence for the many new ancient human species they propose. In the end, their evaluation of species distinctions often comes down to the subjective statement that one fossil looks different from another. The authors, themselves, illustrate the species problem by citing the case of the mongoose lemur. This is an animal which, in different parts of the world, has totally different lifestyles and behavior. Yet, ‘If you were to see these animals first in the wild, you would never guess that you couldn’t tell them apart skeletally or dentally’ (p. 91). A degree of alleged objectivity in the interpretation of the fossil record is attempted through an arranging method known as ‘cladistics’, coming from a Greek word meaning ‘branch’. Morphological characters, or states of characters, are said to fall into two categories, primitive and derived. ‘Primitive states are those that were present in the common ancestor of a subsequently diversified group of organisms (a clade); derived states are any departure from the primitive condition’ (p. 52). This concept assumes, without evidence, the truth of evolution. Further, to know the condition of common ancestors, this concept also assumes a higher degree of omniscience on the part of the investigator than most humans have. Later in the book, a cladogram is given showing all of the hominid species mentioned in the book. They are represented by black dots. White dots are used for probable ancestors that are assumed but have not yet been discovered. Suggested relationships are shown by either solid lines or dashed lines. Beneath this cladogram, the authors write: ‘Many of these relationships (especially those indicated by dashed lines) are highly preliminary, and await definitive testing’ (p. 243). Used in the context of a work by respected scientists, the word ‘testing’ implies a high degree of objectivity with reliable data. In this cladogram, Homo neanderthalensis (the Neandertals) and Homo heidelbergensis are connected by dashed lines to a white dot, representing an as-yet-undiscovered common ancestor. Homo habilis and Homo rudolfensis are likewise connected by dashed lines to a white dot, also representing an as-yet-undiscovered common ancestor. Even if evolution were true, and these alleged common ancestors were discovered, even then how could these relationships be tested in any objective, meaningful way? I have mentioned only two of the many objective problems with this cladogram. The real problem here is that there is no distinction made between science and science fiction; between objective reality and a very fanciful imagination. Throughout Extinct Humans, Tattersall and Schwartz lament the popular picture of a linear progression of fossils from some unknown distant ancestor to modern humans—the picture portrayed by most paleoanthropologists today. Their book is actually a protest against that portrayal of human evolution. Yet, at the end of their book (p. 244) is a diagram of a hominid family tree based on the cladogram previously mentioned. This family tree is stated to be a ‘best guess’ regarding the events in human evolution. In my library, I have 41 books on human evolution published since 1990. Most of them show hominid family trees. Most of these family trees are not too different from that of Tattersall and Schwartz. Tattersall and Schwartz may show a bit more uncertainty in their diagram—but not much more. They may show a few more species—but not many more. Most of the additional species they suggest in their book are so hypothetical that they are not shown on their chart. And their chart, believe it or not, is also rather linear. The family tree by Tattersall and Schwartz starts with an unknown distant ancestor leading up to Australopithecus anamensis. A solid line then takes us to Australopithecus afarensis. Another solid line takes us to Australopithecus africanus. A branch to the side leads to Australopithecus garhi, because there is uncertainty as to whether the next step, which leads to Homo habilis, comes from africanus or garhi. A dashed line (meaning uncertainty) leads from habilis to Homo ergaster. Another dashed line leads to a presumed common ancestor of Homo erectus and Homo antecessor. A solid line leads from that presumed common ancestor to Homo antecessor, a dashed line leads on to Homo heidelbergensis, and another dashed line leads on to Homo sapiens—big, beautiful you and me. The route seems to be rather linear. The French have a saying, ‘Plus Ã§a change, plus le mÃªme chose.’ (‘The more things change, the more they stay the same’). Things have changed. But after all of the sound and fury in this book, I am not so sure that they have changed as much as Tattersall and Schwartz would have us believe—though they certainly say it well. ‘healthy scientific attitude toward gathering data from the real world just for the sake of learning about it was squelched by the rise of Christianity in the first and second centuries AD (p. 19)’. In an equally surprising statement, the authors seem to suggest that by the 7th century AD, the alleged squelching of scientific inquiry by Christianity and the Church resulted in the belief that the account of Adam’s creation in Genesis 1 was actually true (p. 19). They seem oblivious to the fact that the Old Testament people accepted the Creation account in Genesis 1 as true from the time it was first given by God. The authors further reveal their ignorance of the very Bible they criticize by suggesting that ‘the period of the Great Flood began with Adam and Eve’ (p. 26). One of the most fascinating observations in the book is how Darwin overcame Christian opposition to evolution. They state that Darwin could not deny that species had reality in space—that in the present world, nature is organized into discrete packages. But Darwin could deny that species had independent reality in time—that over time all species were related (p. 44). Thus, it was the concept of vast geologic time that Darwin used to undermine the testimony and authority of the Bible. An interesting side note is found on the second last page of the book. The letter ‘N’ in the word, ‘nature’ is capitalized. Since the authors have removed God from origins, humans and from all of nature, one cannot help but wonder if capitalizing the word nature has any religious significance. When one rejects the God of Creation, the only logical place left to go is pantheism. Extinct Humans is a beautiful and beautifully written book. Tattersall and Schwartz state that their interpretation is a minority view of the human fossils. However, philosophies today are not promoted by fact or argument as much as by Madison Avenue advertising and promotion. Because of his brilliant ability to popularize, Ian Tattersall is to human evolution what Carl Sagan was to cosmology and Stephen Jay Gould is to evolution generally. Hence, the view on human evolution expressed in this book may become more popular. I will be surprised, however, if it becomes the majority view. This scenario of the human fossils is even more subjective than is the present majority position. Knowing paleoanthropologists as I do, I question if this model would appeal to most of them. They like to have definite answers. They do not like to say: ‘We don’t know’. Why would they flock to a model of human evolution that involves so many subjective species that it would be virtually impossible to decide which one was the ancestor of modern humans. Trying to figure out ancient human relationships using the Tattersall and Schwartz model is truly like trying to nail jello (jelly to non-US readers) to the wall. Hodgson, P.F., Science needed Christianity (Book Review of Jaki’s Science & Creation), Nature 251:747, 1974. Return to text.